As parents we all wait eagerly for our baby to make their first big movement. It does not matter what parents with older children say about how its a wonderful time watching them grow, but be aware once they start moving you can not take your eyes off them. We brush their comments aside thinking they do not know what they are talking about, once they start moving not only is it a wonderful thing to watch but it will make things easier too. You find yourself already at about 4 months in a routine where your baby is happy to play on their own for a bit longer, giving yourself time to maybe do some housework......or just chill out and have some you time. Then you see your babies rolling over and your excitement is uncontainable. You are ringing everyone to tell them what your baby did. For the next few days you love watching them perfect there new skill. And then when you next go to do your housework, whilst your little one is playing on the floor you suddenly realise what all the parents with older children meant.......especially if your baby has only learnt to roll one way. Everytime you leave the room your baby starts to fuss as they have rolled onto their front and cannot get back (when I say leave the room of course your child is left somewhere safe). You start having to prop pillows next to them so you can leave the room for just two seconds. You no longer need to go to the gym as you are walking back and forth so much you get all the exercise you need just helping your baby roll back over. Of course you realise the month or so of being able to do chores easily are over but on the other hand your watching your baby grow and develop and it really is a wonderful thing. The biggest problem you may find is if your baby decides to start practicing at night. You may find yourself getting up a few more times as they roll and get stuck. Do not worry this will soon pass when they either learn to roll both ways or become accustomed to sleeping on their fronts. I know they say babies should sleep on their backs and I agree to putting them down to sleep on their backs. But once your babies rolling over their head should be strong enough to move from side to side which means they will easly be able to breathe on their fronts. Plus you cannot stay by your babys cot all night turning them everytime they flip. 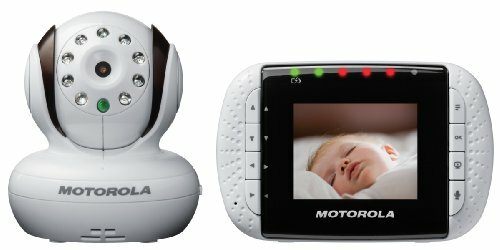 But if you are worried about them being on their fronts at night you can get baby monitors now that have a camera, so you can at least see they are sleeping in a comfortable position on their fronts. You may also find not long after they start rolling on their fronts during the night they may start to like it as now they have an extra position to sleep in, so may start sleeping longer at night. Some advice for when they can roll one way, do not automatically roll them back yourself when they get frustrated as they need to learn to roll back themselves. I do not mean leave them to cry uncontrollably but sometimes they will just fuss to start with so leave them to it as this may be what helps them to learn to roll both ways eventually. Whatever the upset to your routine it makes or how you once again have to keep a constant eye on them babies rolling over is wonderful milestone to watch your baby accomplish.